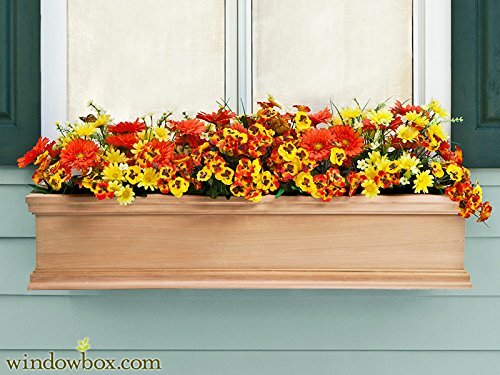 Add rot-resistant natural wood planters to your landscape with this Window Boxes. Built from lovely red cedar, this planting container makes a great exterior accent for window frames, railings and fences. A cedar flower box looks warm and timeless, making it the perfect canvas for favorite container garden arrangements. Plant with impatiens or begonia for displays shaded by an overhang, or make sunny arrangements of daisies and snapdragons along a deck railing.